The first Festival of Gardens will begin on the 1st of April and will last one month. The festival will unfold throughout the department and may become a regular event. With the theme “awakening the senses”, the festival will begin on the 1st of April, end on the 1st of May and will take place over all of the Côte d’Azur. The department has been funded with subsidies from the European project ‘Jardival’. The estimated budget for this event is €600,000. The month of festivities dedicated to the richness of the Azurean landscapes, will be divided into two parts: the main festival, which includes a competition for creating landscapes and an “off” festival. Five communities will host two ephemeral gardens each. In Cannes at Villa Rothschild, in the Jardin Biovès in Menton and in the heart of the Villa Fragonard in Grasse. The fleeting gardens will take place in Albert-l, at Antibes and on the Pinede Gould at Juan-les-Pins. Three prizes will be awarded: the jury prize chaired by Julie Depardieu, the landscape professionals prize by Catherine Muller president of the National Union of Landscape Companies and the specialized press prize. Finally, The Audience Award, a fourth prize will be awarded by the public who will be able to vote for their favorite garden via the department’s Facebook page between the 1st and the 26th of April. In parallel, the festival will include more than 200 “off” events, including floral and culinary workshops, plant exchanges, conferences and exhibitions. All taking place throughout the Alpes-Maritimes and beyond. 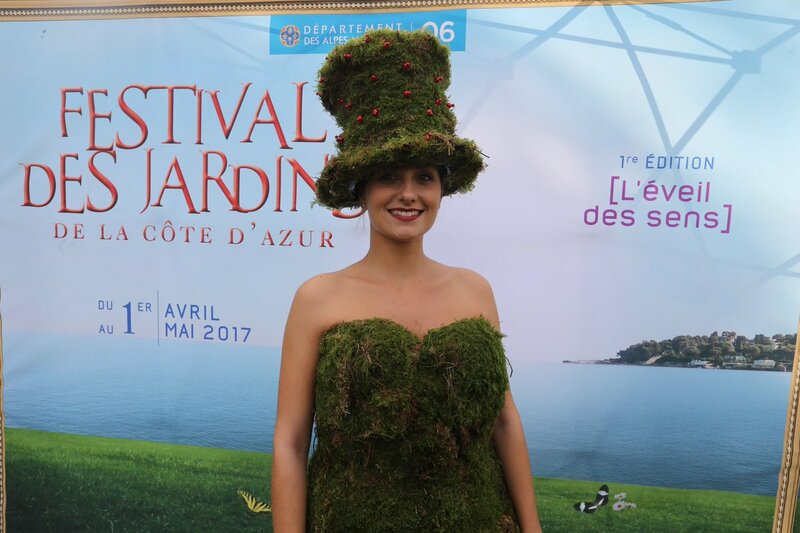 San Remo, Imperia and Costarainera in Italy, as well as Monaco will participate in this ode to gardens. 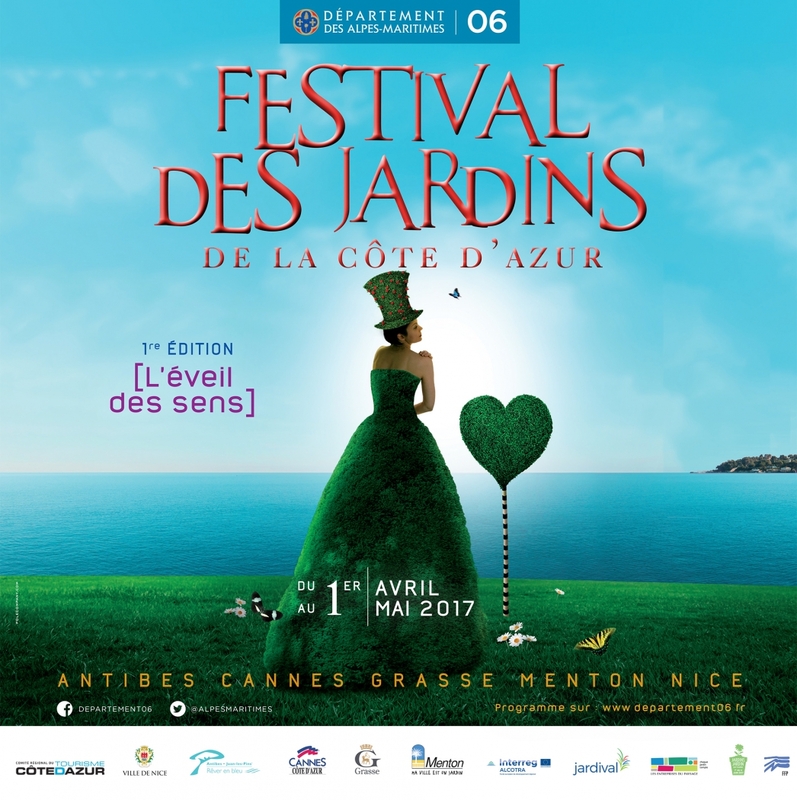 Highlights for the off-festival include ‘the ephemeral garden’ contest, by Albert-l in Nice, guided tours of the arboretum gardens in Roure, and the show ‘La Valse des saisons’ (the Waltz of the Seasons) in the Villa Rothschild park in Cannes… The Garden Festival may become a yearly or bi-yearly event. Antibes: “Encased Bulbes” from the Nomadic Gardeners Collective, “Waves” by Vincent Capmartin. Cannes: “The Banquet” from the Nicolas Besse & Pauline Gillet Atelier, “The Garden of the Sixth Extinction” by David Simonson. Grasse: “Natural Fragrances” by Cyril Caminotto, “Dansité” by Movements & Landscapes. Nice: “Paradise Palace” by Atelier Takt, “MountaCala” by Scape design. Ephemeral garden competition by the city of Nice. Menton: “Secret Gardens” by Les Olivettes Collective, “L’îlot Gourmand” by Les Soupageurs / Nommos. 41st International Circus Festival of Monte-Carlo – There’s a first time for everything!